Period of Research Stay: 01.05.-31.07.2018. Eyram Norgbey has a background in Environmental Science and Engineering from his studies at the Hohai University in China. 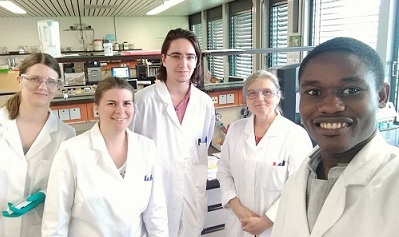 He was awarded as a Green Talent in 2017 and conducted his three-month research stay in Bergisch Gladbach at the Federal Highway Research Institute (BASt) supervised by Dr Ing. Hirsch and Dipl.-Ing. Ripke. After spending 2 amazing weeks in Germany, visiting several beautiful cities during the Green Talents Science Forum, the fun wasn’t even over. My 3 months research stay in Cologne was even more exciting and filled with lots of adventures. 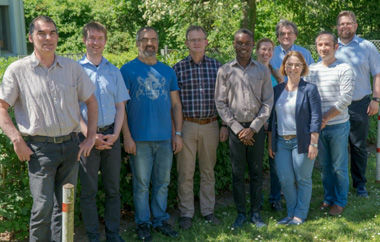 I had my research stay at the Federal Highway Research Institute (BASt) in Bergisch Gladbach. BASt is located in a natural environment setting which helps create a connection with earth’s nature and gives a sense of orderliness. The institution has a small lake with beautiful greens (trees and grass) surrounding it. 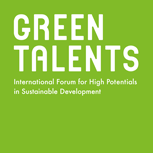 One of the goals of the Green Talents program is to promote sustainable living and environment protection. The location of the BASt research institute fits this objective. I can attribute the success of my research stay to the location (everything is so green) and working environment at BASt. From the onset, my research stay at BASt was fantastic. The reception, on my arrival, was unbelievable. I felt right at home on my first day. I had a special tour round the BASt research facility by Mr Ripke. Dr Hirsch took me on a laboratory tour, showing me the ongoing projects at the facility. The research team at BASt provided me with tips on how to visit the best places in Cologne. Cologne is a lovely city filled with soccer lovers, music and of course beer! I will liken my research stay at BASt to a football manager who just walked into a football club with all the star-studded players at his disposal, having the luxury to select from the best players in the world for any game. Yes, that’s how I felt at BASt, having all the types of materials and lab equipment at my disposal to make my ideas a reality. An institution filled with the brightest minds concerning asphalt pavement modification and a laboratory filled with all equipment needed, I could not have asked for more. My research stay at BASt opened my mind to endless ideas about my research on asphalt modification with Lignin. I must say, the infrastructure and equipment available at my disposal was beyond my imagination. Dr Hirsch further gave me directions and advice to help me develop my ideas. I was even more excited when I appeared on the BASt website and was featured in BASt aktuell. Furthermore, I always enjoyed the ice cream break at BASt which was held whenever the temperature was about 30 degrees Celsius or more. 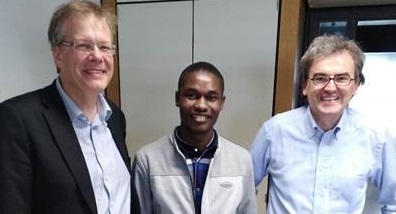 I would like to say a massive thank you to Dr Hirsch, Mr Rikpe, the whole BASt research team and most importantly BMBF for sponsoring my research. Read more about Eyram Norgbey.